Fast pipe burst Coral Springs restoration team, same day service! The Sawgrass Nature Center and Wildlife Hospital is a unique place to catch a glimpse of life in the Everglades. Located right on the edge of this swampland, workers at the center rehabilitate injured and orphaned wildlife and educate the public on the environment. Coming home to a burst water pipe or washer burst can be quite overwhelming and leave you feeling like displaced animal before they are taken to the Sawgrass Nature Center. Let us come and rescue you! 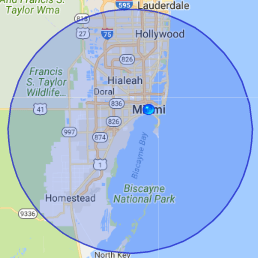 Call our technicians at 911 Restoration Coral Springs and we’ll be on your doorstep in 45 minutes mending your pipes and restoring you to your natural habitat. When you have a flooded house you don’t want the hassle of calling a leak detection service, plumber, a mold abatement specialist and a water damage restoration company. You want one company that can do it all! 911 Restoration has all the restoration services you need in one convenient stop! We work with all insurance companies and always put the customer first, arriving on your doorstep within 45 minutes of your call. Our same day service comes with a free inspection and affordable prices. We’re licensed, insured and bonded and use the latest in drying technology. Whenever your crisis occurs we’ll be there. Available 24/7 with over 35 years of experience our disaster restoration team is always ready when you need us! Call us today! There’s Water Everywhere! What do I do? Take a deep breath. Everything is going to be ok. It’s just a pipe burst. Let’s address safety and then we can talk about water removal. – Step 1: Shut off the electricity at your break box. You don’t want live electrical current pumping into your flooded area. Water is an excellent conductor and you don’t want to get shocked or electrocuted. – Step 2: Turn off the water. Systems vary but you will likely need pliers or a monkey wrench to turn off the valve at the water main. – Step 3: Inventory. Take a look around and catalogue what has been damaged, beit structural or personal. In the event of a sewage spill, throw away the things that can’t be laundered or sanitized. – Step 4: Contact 911 Restoration Coral Springs, the plumbing company with superior water cleanup restoration services! What can I do Keep my Refrigerator From Leaking? Water repair can be a hassle, so when you’re installing your refrigerator make sure that the water line connection is secure. Leaving a three-inch space between the back of the refrigerator and the wall will prevent the hose from kinking. If you find a kink, replace the hose immediately as the structural integrity has been compromised and may lead to a ruptured hose. Lastly, we recommended that you inspect the hose and water shut-off valve at least every six months to check for problem areas and plumbing leaks that might need water cleanup.